This is it, tonight at midnight wherever you might be NaNoWriMo is coming to an end. There are just a few more fraught hours of writing to reach 50,000 words. Unless you’re me, I finished and validated my total yesterday afternoon, I don’t want to brag, actually, I do want to brag, I won. Completing any project but particularly a challenging one always leaves you with a feeling of immense accomplishment. 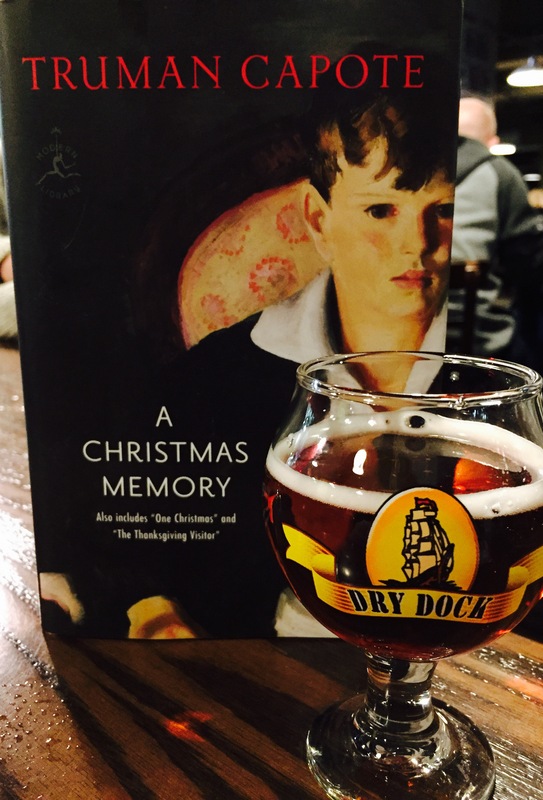 So here we are with the final Authors and Beers pairing for the month, which also feels like a great way to transition into December and the glorious Christmas beers that come with it. Now I know what you’re thinking, Truman Capote was a classy cocktail drinker and his drink of choice was a screwdriver, no beer. But stay with me, if he could write In Cold Blood and A Christmas Memory then he was clearly a man of many tastes. Also he wasn’t lucky enough to be around for the craft beer revolution we are currently experiencing. Sounds like a terrifice combination! Love the book and can’t wait to try the beer! Cheers!